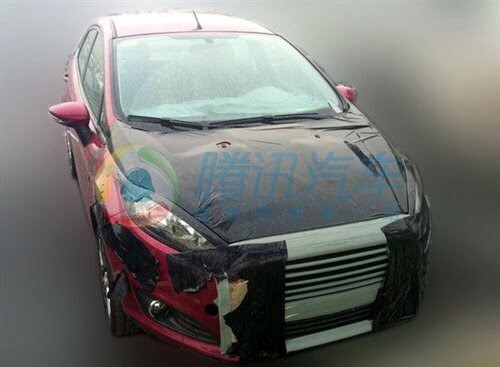 2013 Ford Fiesta Facelift Spied Testing In China- Launch Soon? At this year’s Detroit Motor Show Ford showcased the 2013 Ford Fusion a.k.a Mondeo. It was a seriously redesigned car with lots of improvements which were acclaimed by the global media. One of the distinguishing features of the 2013 Mondeo was the front grille which resembled to that of an Aston Martin product. The new type of grille actually enhanced the appeal of the Mondeo to an appreciable level and now Ford is planning to adopt the same grille for other products too. 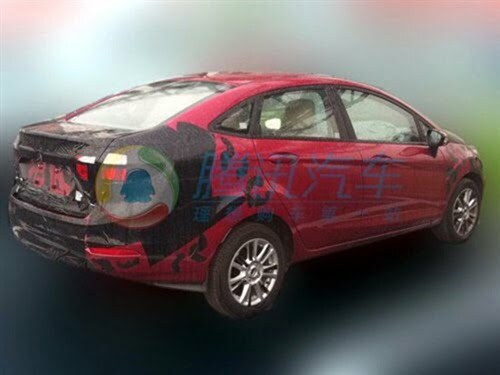 Recently in China, the new facelift model of the 2013 Ford Fiesta sedan has been spied and the most interesting thing about the same is that it features a similar Aston Martin type of grille as the Mondeo and Fiesta hatchback does. 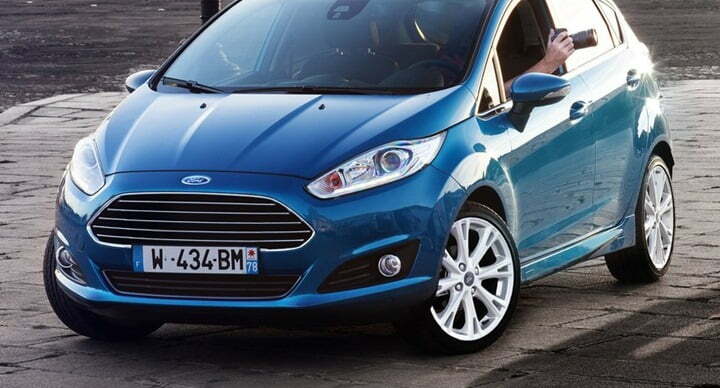 The Fiesta hatchback with the same grille was showcased at the Paris Motor Show last month. 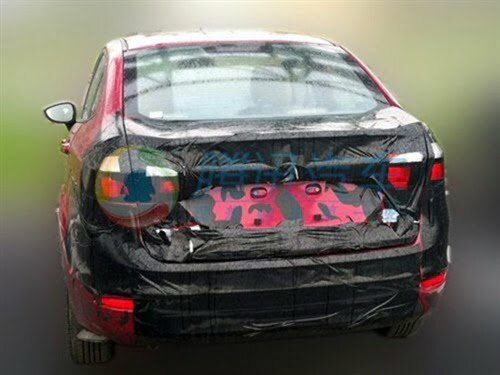 Chinacartimes.com have published a couple of spy pictures of the Fiesta sedan facelift being testing in their country. Besides the new grille other changes made to the exterior include a lower air dam below the grille, black plastic add-on to the fog lamp cluster, and a new front bumper. The shape of the headlamp will essentially be the same as the existing model. Coming to the rear of the car which is heavily disguised we are sure Ford is working on it and will probably bring in some subtle changes. However, it is not confirmed but the rear disguise does suggest Ford is reworking the rear. 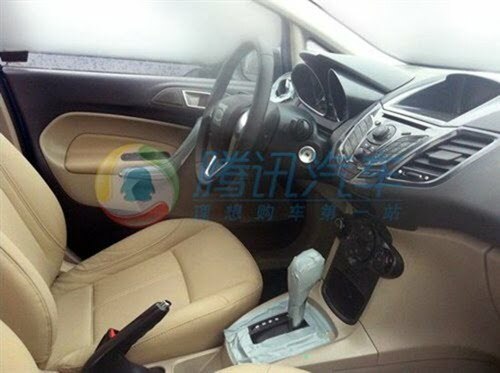 The interior of the car remains largely unchanged and the same is the case with the side profile of the car too. Engine options list for the Chinese Fiesta is expected to be added with the acclaimed 1.0 litre turbocharged EcoBoost engine. Talking in the Indian context, the Fiesta did not perform as good as the company expected it to, and the culprit is surely the high pricing. This facelift could come to India once it is launched in China but once again the sales performance will be a matter of the pricing of the car.